Totally ot, personal taste and stuff, but I really don’t think it is! I really wish they’d make a deal with Fage/total instead!!! 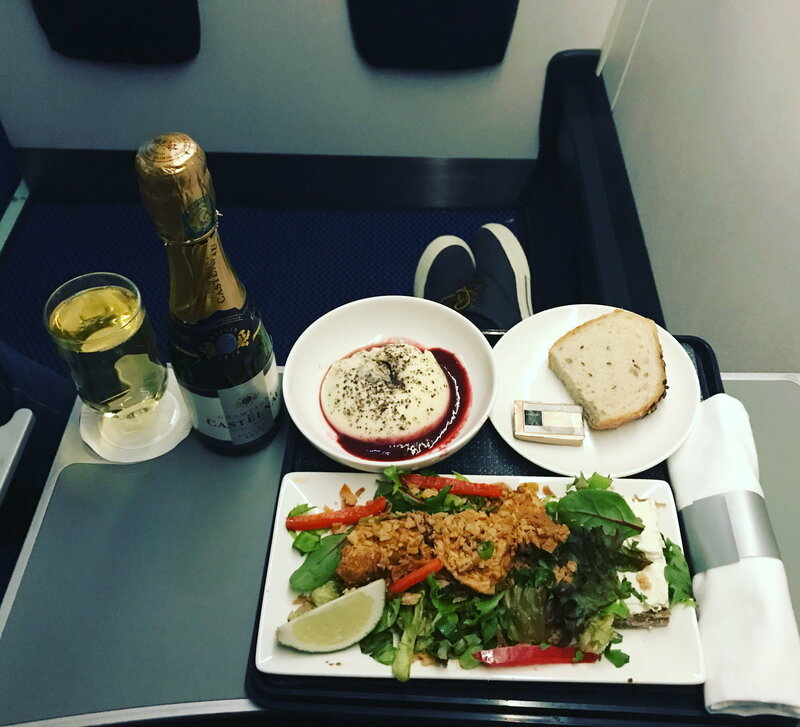 Starter on outbound TLL yesterday (Fri 16th) was salmon not duck. No menus but crew outstanding..
That would be correct, duck is on the inbound, the starters rotate in step with the main courses. See post 1667 above for the inbound LHR Rotation A. Looks a lovely cup of tea. Thanks that's really helpful. I was in 3F yesterday. Row 1 was full, 2 had 3 out of 4 occupied and there were 2 of us across row 3. Cod ran out on my row (6 rows in Club). 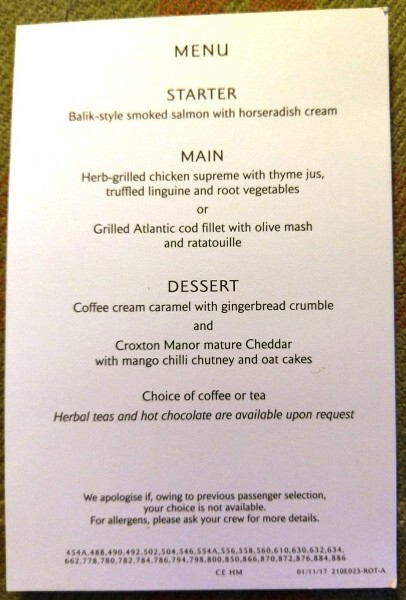 I had ordered a VLML anyhow, but fancy the fish pie on the return leg on Monday. Have moved up to 2F (row 1 full). I'll leave the duck as I am pescetarian, but don't want VLML on the return as I cannot stomach the pasta again..
No nuts served on the 876 to TLL on Fri btw as someone had a nut allergy! 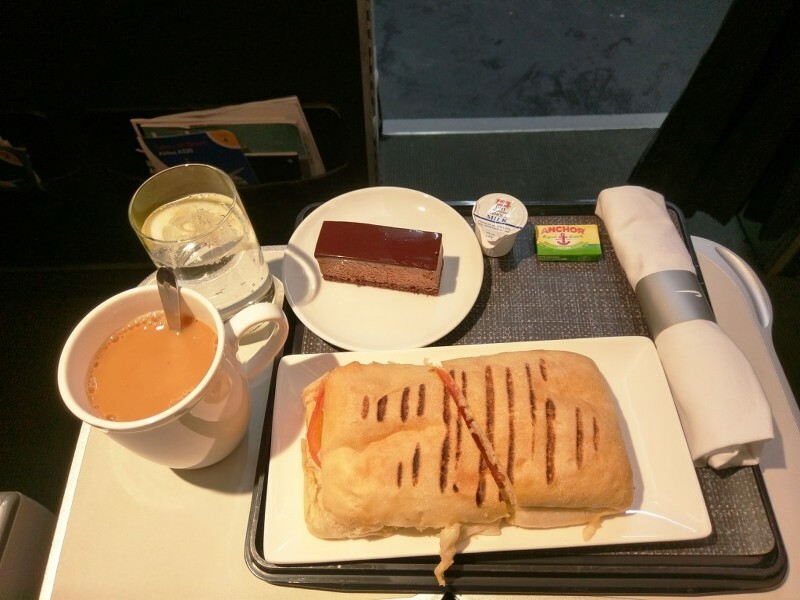 I had a very nice smoked duck salad on a GLA-LHR service last week on a very empty 767 with a really lovely crew. The chap serving me was a flyertalk member and as there were only three of us in 6 rows of CE I ended up having a very interesting chat with him. He was saying a lot of the crew very much enjoy working on the 767's and will miss them when they are gone. Had the salmon and chicken on LHR-LIS on Sunday and the duck / chicken tikka inbound on Wed, both were excellent. The main course 'charger' / plate doesn't seem to fit on the tray - it does but the dessert and cheese plate have to be totalky snug against the far end for everything to fit!! MF crews both ways were very good but particularly on return. On the outbound they served the meals followed by drinks which surprised me (8 rows of CE both ways). 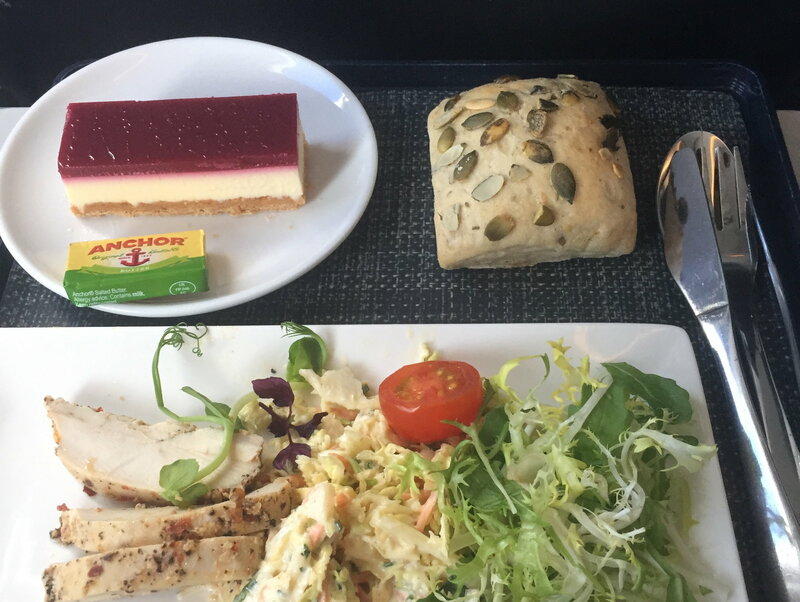 TXL-LHR was the duck salad and I must say I thought it looked familiar. 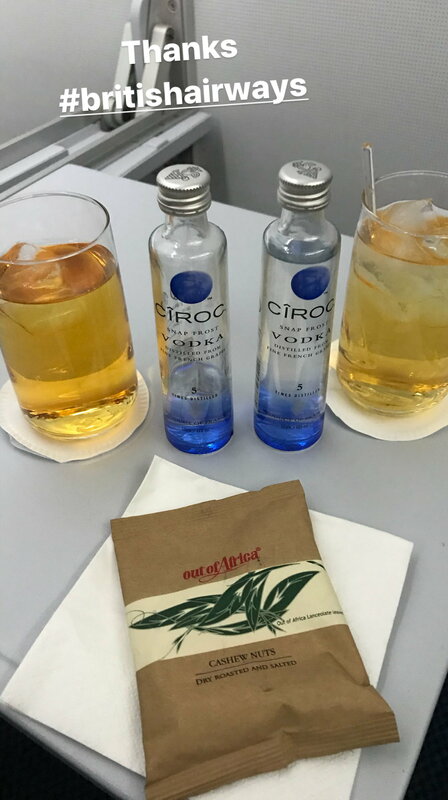 On this flight there was a drinks run and nuts before the 'meal'. 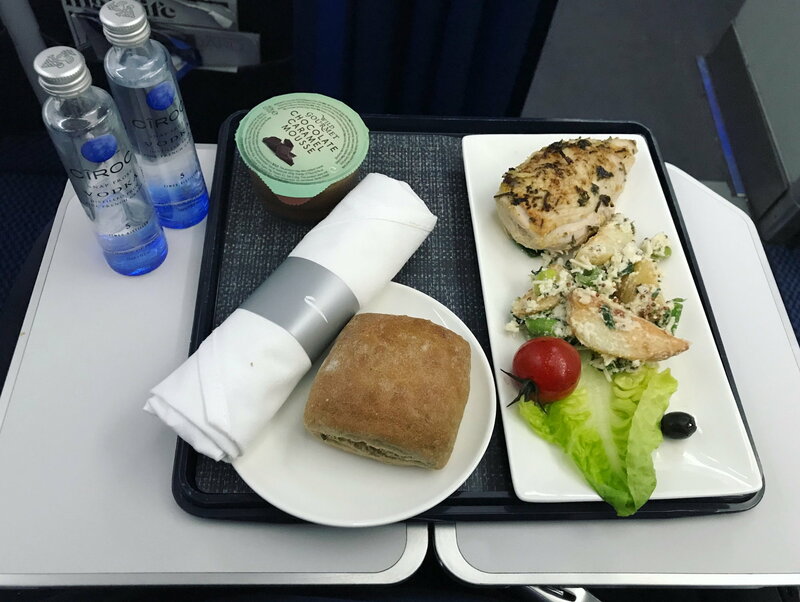 Sorry but it was small for a 1 h 30 business class flight - it feels smaller than the Band 1/2 salads of old? Can't fault the quality, however. That sounds about right to be honest, it leaves 10-15 mins for one crew member to grab a snack while the other tidies away, then the second has a snack while the first runs a final drinks order, followed by delivery of any PRCs, fully clearing in and securing for landing. Darling Corporate-Wage-Slave - I wondered at first why a picture of a rather ordinary panini should be dedicated to me. I wondered if this was because it reminded you of me because it was hot and tasty and came from an airline galley? Then I saw the butter pack and I understood. Au Revoir Monsieur le President, Adieu Mesdames Elle &Vire. Bonjour Matelot with your Anchor. You are sweeter than whatever that is on your desert dish. obscure2k, icebird and corporate-wage-slave like this.